While Pittsburgh is teasing it's inhabitants with a frosty spring breath (read: it's been snowing for 3 days), everyone is aching for spring! I've been thinking a lot about pieces that transition well from chilly spring weather to the heat of summer. I'm not quite ready to bear my legs yet, but I know as soon as it hits the 70's I'll be ready to shed my pants and tights. So what's a girl to do? Invest in a nice seasonal skit! I couldn't find a skirt that would allow me to comfortably wear tights with in early spring, spice up with heels, play down with my All Saints boots, be ready for the heat of summer and a cruise. I mean, it was a tall order. It would NEED to be lined unlike so many skirts out there. Inspiration: Classic lines, pops of colour. The solution? I decided I'd make my own! 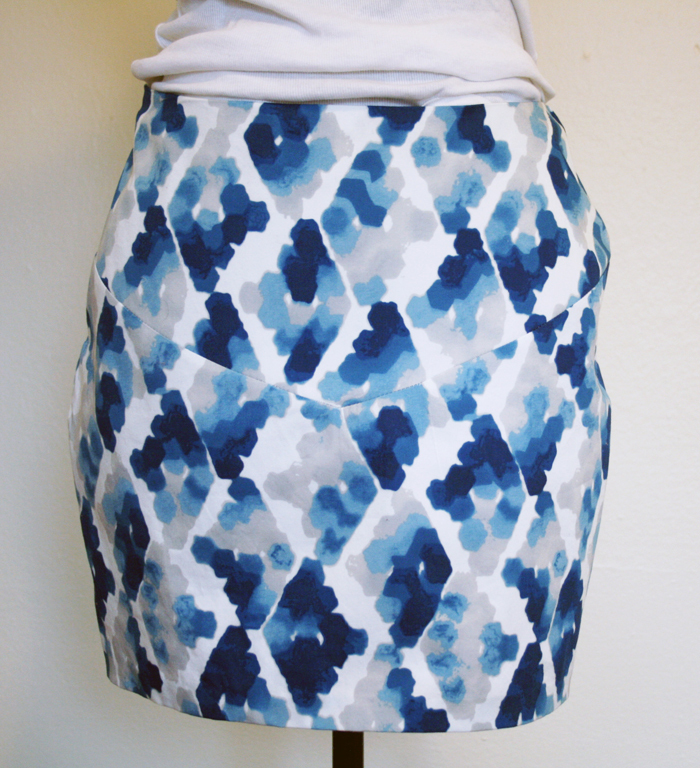 I found inspiration in J.Crew's mini skirts from last year but decided to spice up the boring straight waistband. 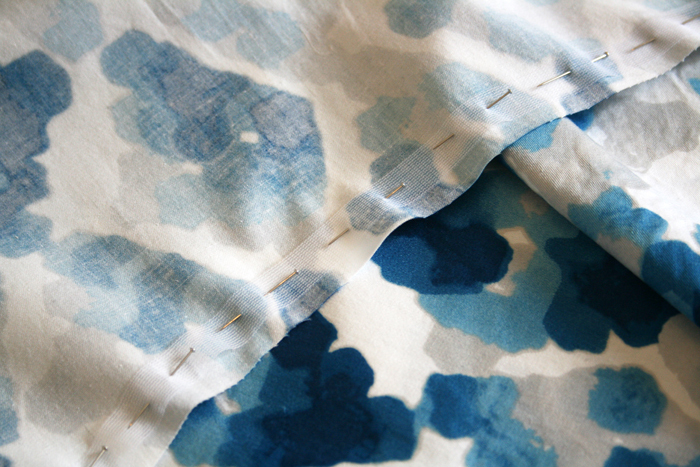 I found some beautiful twill fabric that mimicked the waistband shape and decided to fully line the skirt. The outcome? Instant classic!! Perfect for a cruise, fully lined for tights in the spring and can be dressed up or down. I'm in love. 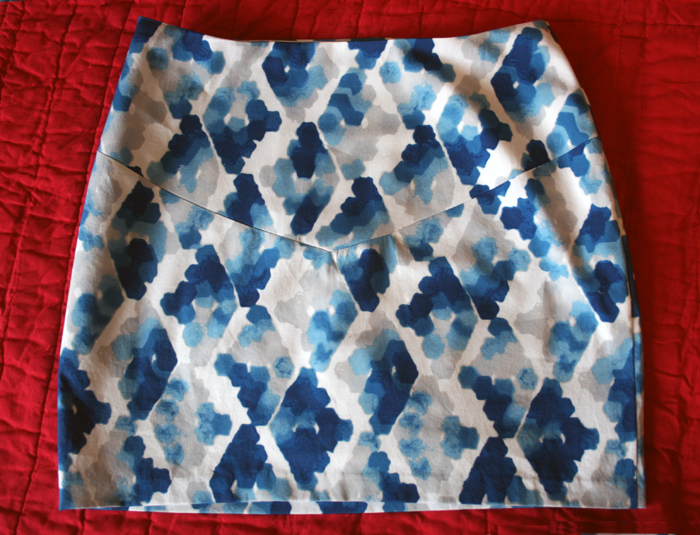 I made the skirt a size larger than what I wear and therefore will be selling it in my shop! The skirt required quite a bit of hand work and a lot of love. Seasonal skirt with an invisible side zip and lining.